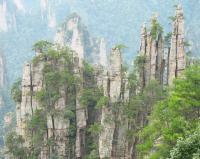 Tianzi Mountain is regarded as the top site to see sandstone peaks in high density. 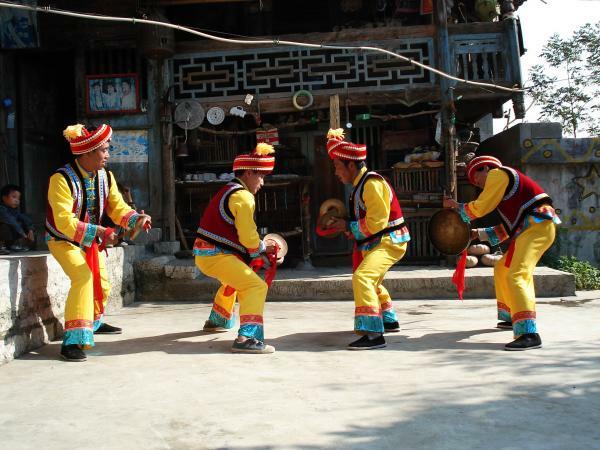 It is located in the northeast of Wulingyuan Scenic Area, covering 9,000 hectare with the highest altitude 1262.5 meters at Kunlun Mountain. 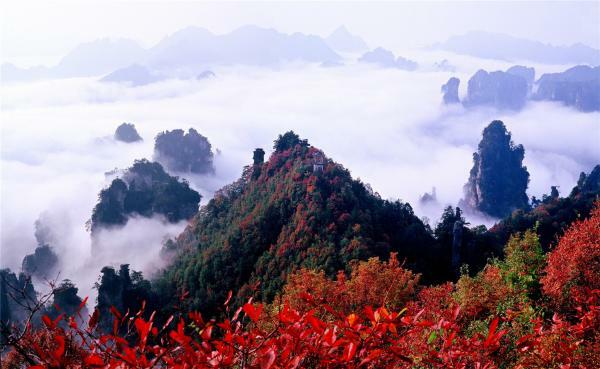 The grotesque rocky peak forests are covered by drifting mist, and you can enjoy the famous 4 scenic wonders of Tianzi Mountain: Cloud Sea, Sunrise, Moon Brightness and Winter Snow. 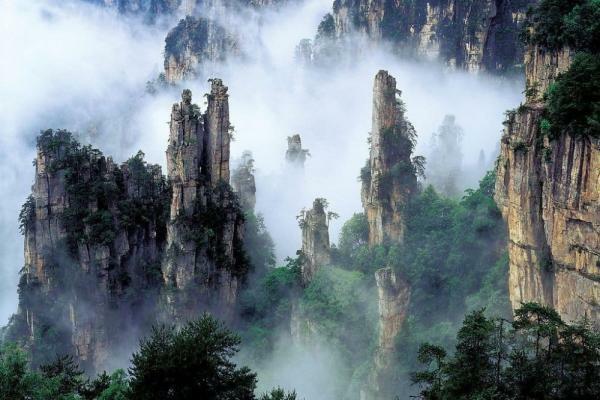 In a word, the original landscape without any artificially carved natural makes Tianzi Mountain so unique and charming, just like a fairyland on earth. 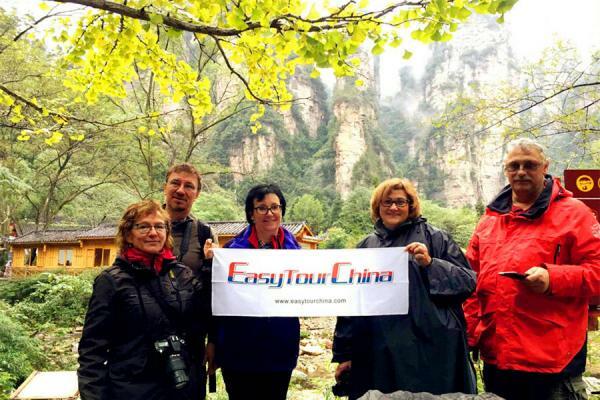 The cloud sea are always changing, the sunrises and sunsets from vast sky are so romantic, the bright moon climb high and showering its silvery light on the ground, the flashy winter snow fall lightly and covered with branches. Such a scene is like a lyric poem, like a landscape painting. An Austria-imported cable car was built on the cliff of Tianzi Mountain Scenic Area, which offers a perfect angle to see the breathtaking views. 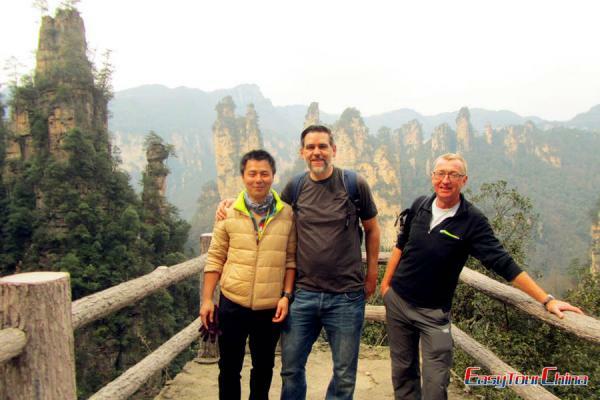 Tianzi Mountain highlights including: Helong Park, West Sea Stone Forests, Imperial Writing Brush Peak, Divine shrine, Yuanyang Waterfall, Fairy Bridge and Grand Sightseeing Platform. 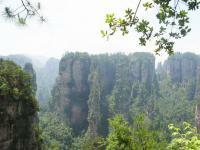 And there are more than 80 natural platforms for tourists to take in the magnificent scenery. 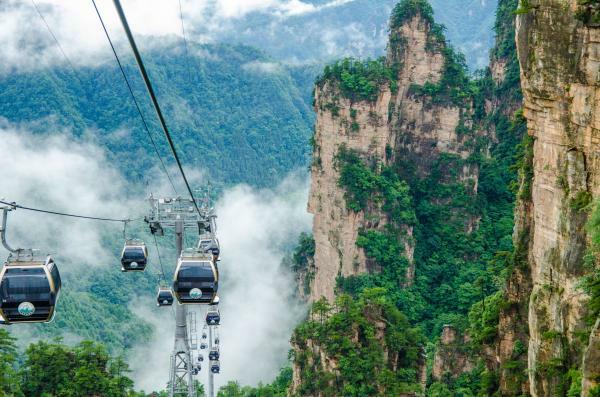 Besides, in some parts the cable cars will be suspended over half of the sky, which will give you a thrilling feeling when you try it. Except for the primeval forests, steep peak forests and beautiful water, the local special customs and delicacies are waiting tourists from home and abroad to experience. 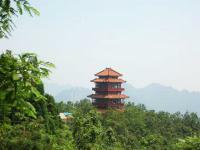 The yearly average temperature is 12 ℃, and annual average rainfall 1800mm. There are around 240 frost-free days. 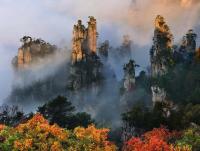 Especially after the rain, the scenery of Tianzi Mountain will add much charm. 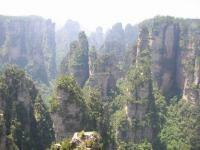 And the landscape here varies in different seasons and also in one day, so it is suitable to travel to Tianzi Mountain at any time. 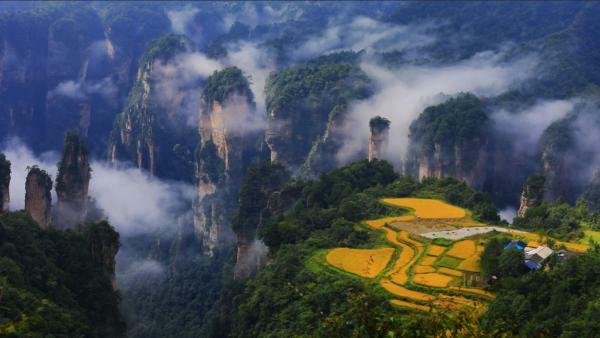 You can get here by bus in the Zhangjiaje city. 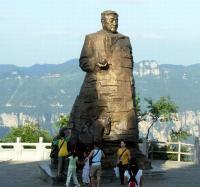 1.During peak tourist season, the number of tourists here will increase sharply, so it is best to choose right time to visit Tianzi Mountain. 2.The annual July rains a lot. 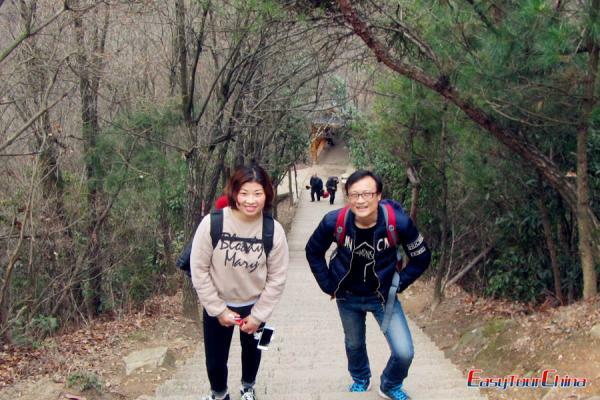 Be careful when you climb the mountain on a rainy day. 3.The cable car suspended in mid-air is not recommended for the people with a weak heart, because it is too stimulating for them.